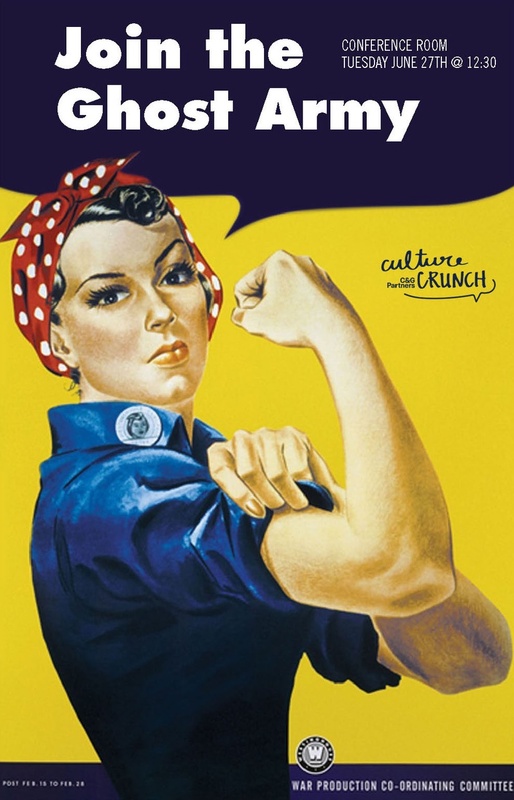 Culture Crunch is C&G's ongoing monthly internal event series, incubating the studio's mission: design for culture. For June, C&G content developer and historian Will Twersky shared an important, but mostly unknown, aspect of design history. Will presented the history of the Ghost Army—the World War II battalion made up of designers and artists including Ellsworth Kelly and Arthur Singer who used their skills to save Allied lives. Peppered with examples of design decoy, the presentation was followed by a group exercise in which the C&G team brainstormed lifesaving designs for wartime culture.